Having missed out on a potential top four start following a late red flag stoppage in qualifying while on his quickest run, the Racing Steps Foundation-backed driver was forced to start from 12th position. Dennis wasted no time in making his way up the grid when the lights went out, progressing up to eighth place on the opening lap, with his Arden International team-mate Jack Aitken directly behind. Fellow Briton, Koiranen GP’s Matt Parry was also on a charge, and having passed Aitken, took advantage on lap five when Dennis left the door open up the inside at Luffield and sprinted clear. 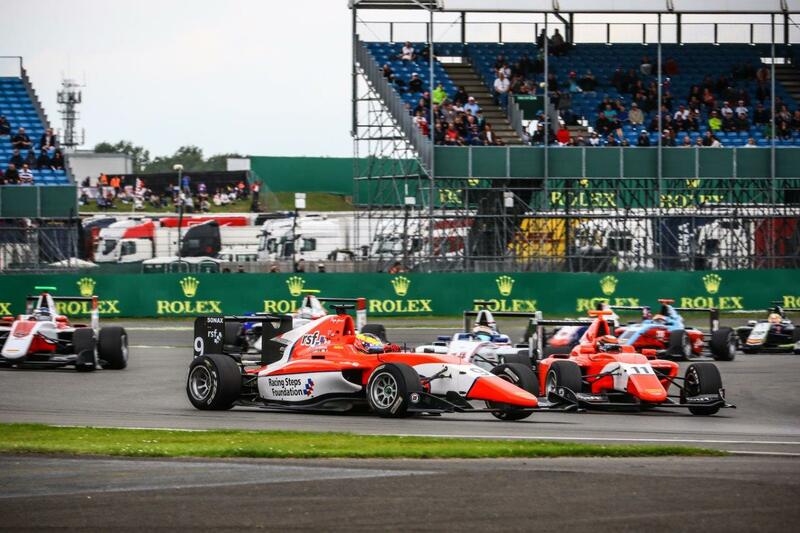 Dennis began to conserve his tyres throughout the race mid-point, dropping further places to Trident’s Artur Janosz, ART GP’s Nyck de Vries and the Campos Racing machine of Alex Palou. But with the pack bunching up in the closing stages, Dennis chose his moment to capitalise and moved into a provisional eighth place by the chequered flag, crucially securing pole position for Sunday’s reversed grid race two. The stewards intervened however after the race, hitting Dennis with a five-second time penalty for exceeding track limits. It demoted Dennis to 12th position, ahead of Aitken. ART Grand Prix's Alexander Albon scored victory from pole position, with team-mate Charles Leclerc second. Trident's Antonio Fuoco joined the pair on the bottom step of the podium, a distant third.